Update Jul 2, 2013: This restaurant is now closed. 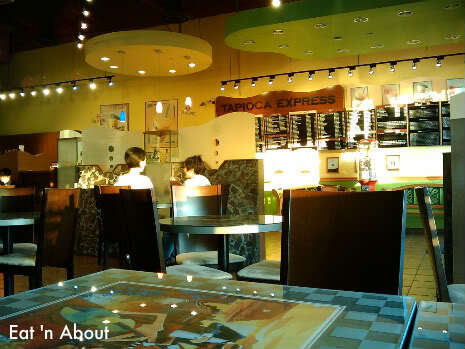 I’ve been going to Tapioca Express since I was in high school. I haven’t been there very often since but I know for a fact that some of the guys I knew in high school that haven’t seem to have gone forward with their lives (harsh words I know…but it’s the truth) are still going there, dressed the same way they did in high school. Anyways, the reason why I don’t go there often is that their BBTs are pricey. I mean, for the same price as everywhere else, you only get a small cup. You’ll see later. Their redeeming quality is that they make a mean Salt & Pepper Chicken, and they are the only BBT place that has Thai Tea, which is AWESOME. And this is their glorious S&P Chicken. I ordered this as a Set Meal for $7.75 which comes with a Green or Black BBT (no pearls included, no milk tea substitution either). 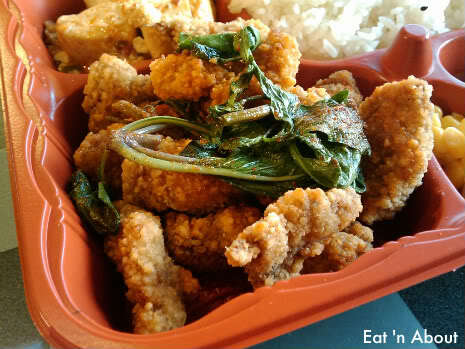 It also comes with rice and 3 side dishes like most. I have to admit though, they are a bit salty though. You get a choice of spiciness. I really like the fried basil leaves. Very aromatic. So Boyfriend ordered the Fluffy Thick Toast which he loves. And a small Thai Tea (which is the same price as the regular everywhere else). They have choice of mini or regular pearls. They used to have white pearls too but I’m not sure if they still have it. Thai Tea is really unique. If you’ve never had it before you should try it. 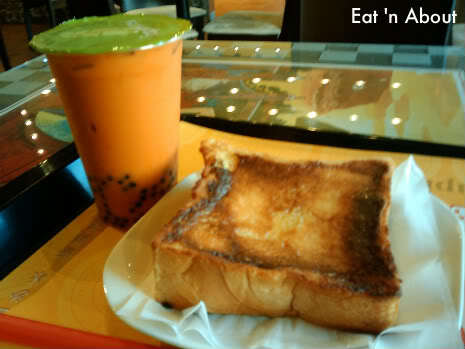 So it’s a good place to eat once in a while, I really only go when I crave Thai Tea. Mmmmmm I love Tapioca Express. Really happy they opened on at Fraser & 48th, way closer to me now!